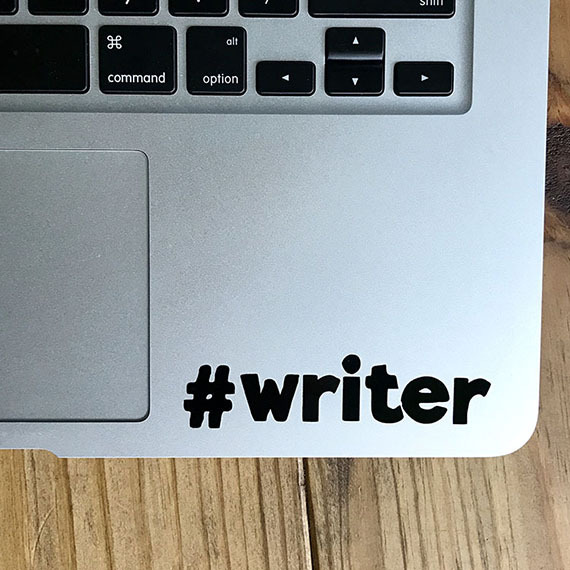 You're a writer, so remind yourself each time you open that laptop. We put ours on the bottom righthand space inside our laptop, beneath the keys. But feel free to put yours anywhere at all! All that matters is you remember you're a #writer.